Use the form below to contact tour Iron Gate gorge and Lepenski vir directly. This Danube route links different points in time and like a time machine opens path through history of this part of Europe. Natural characteristics of Iron Gate are the main cause of vibrant history of this part of Danube’s course. This is a great way to spend a day outside the city. You will visit several famous landmarks of Serbia. You’ll enjoy breathtaking landscapes of Danube river flowing through the biggest gorge of Europe. If you request optional boat ride you’ll have unique opportunity to experience Iron Gate gorge from the river. At the end you’ll try local food in authentic household with beautiful view. For those who are more fond of Roman Empire history visit Viminacium and Smedrevo fortress tour. #YourSerbiaHost will pick you up at your hotel in the morning. First stop on the tour is when we reach the Danube bank. Sights in front will be the town of Golubac and the Golubac fortress. This medieval town is placed at the entrance of Iron Gate and touches Danube waters with part of the walls. Many legends are connected with this fortress and four of them are in relation with its name. There are no reliable data about fortification’s construction date, only assumption that it was constructed in the 13th century. We will explore fortress surroundings from the newly constructed visitor’s center where you’ll be able to dig into more distant, but also in more recent events and history. 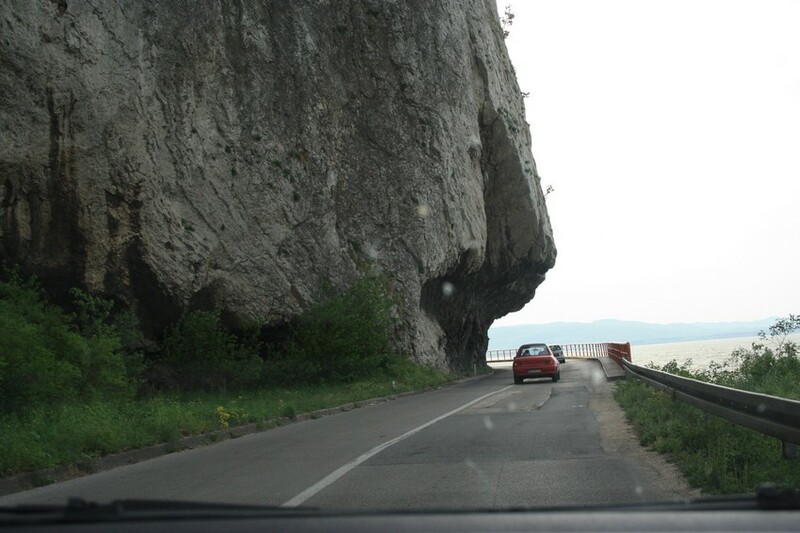 Straight from Golubac we continue down the Danube road. After only 30 minutes we arrive to Lepenski vir – the oldest organized settlement in Europe. 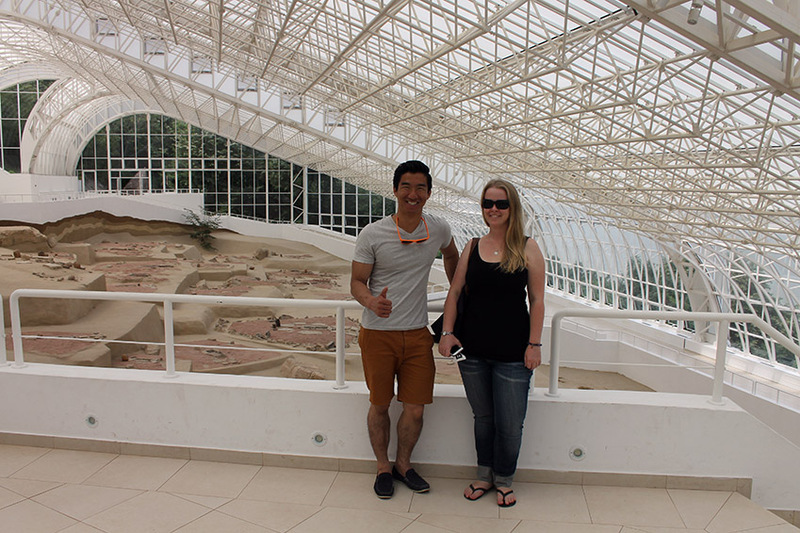 Settlement was founded around 7000 BC and lasted till 4500 BC when people of Lepenski vir moved on to the world. 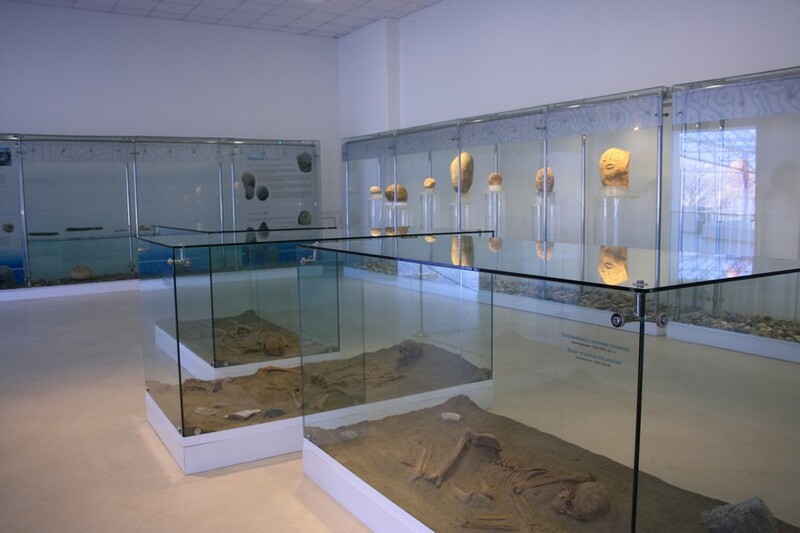 Archaeological site is in perfect condition and it consists of several parts. Uniqueness of this place, in archaeological sense, is the fact that the whole settlement was moved from its original location retaining absolutely the same items and setup from time when people of Lepenski vir lived there. All items and elements are completely authentic. Video projection, holographic display, 3D interactive application are additional amenities which will take you millenniums in the past. Road takes us further through town of Donji Milanovac towards the prettiest part of Iron Gate, ravines Mali and Veliki kazan. This is the place were all famous photos of the gorge were taken. If you opt for private boat ride through the ravines, it can be organized on request. With this 2h boat ride you’ll get much better prospective on Tabula Traina, Decebalus rock statue and you get to chat with boat captain. After all excitements and views we stop for deserved lunch break. Best possible place to experience local hospitality, food and charm is Captain Misa’s Hill. 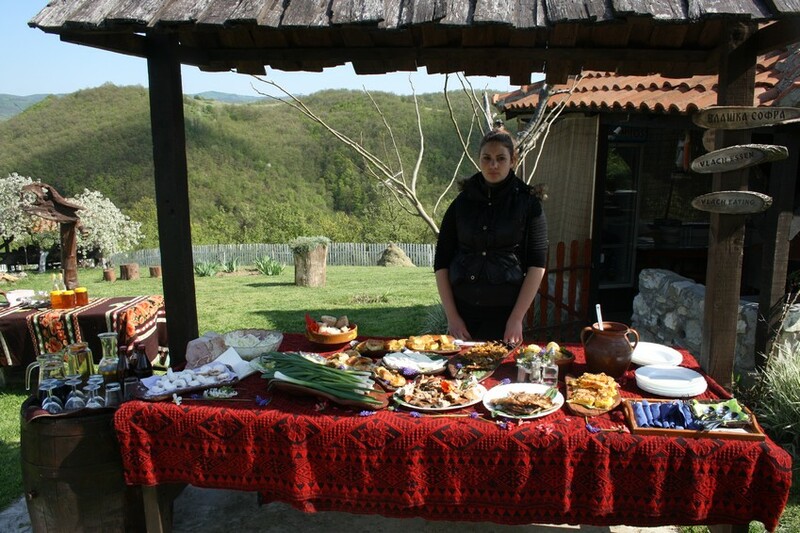 Kind hosts will serve traditional local food in authentic surroundings with most fascinating view. We went for a day trip during our summer holidays in July and the day started with a lot of rain & wind. Dobri (our guide) was fast to explore the options how to make our trip work but at the end we decided to stay with the initial itinerary and we did well! Dobri was knowledgeable and happy to answer any of our questions even when they were not related to Lepenski Vir & Roman period of Serbian history. The weather got better during the day so we went on a boat trip to Tabula Traiana (might need to be booked in advance) and the view of the beautiful gorge from the river on a sunny afternoon was fantastic. All in all we had a great trip, we felt that Miljan & his team took good care of us from the start till the end and we will be thinking of our next excursion with them next time we are in Serbia. 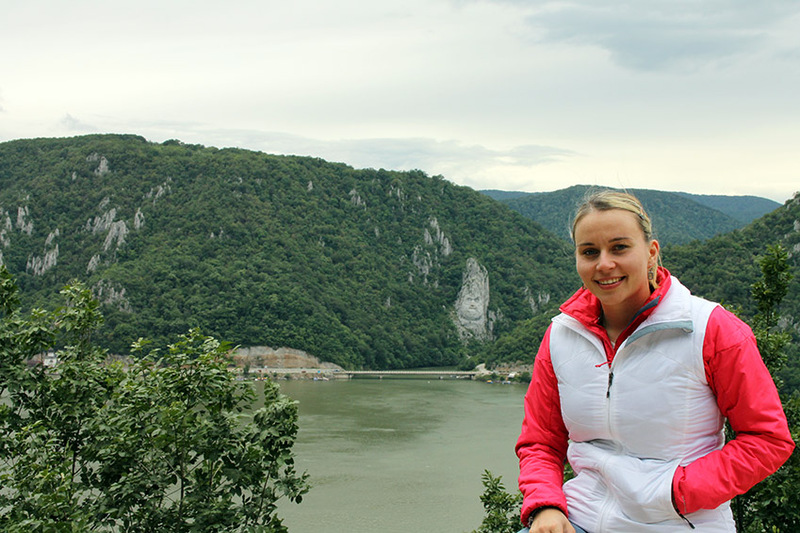 With only a couple of days in Serbia, and wanting to experience its culture and beauty, I highly recommend taking the Private Day Tour to Iron Gate Gorge and Lepenski Vir and Golubac Fortress. I cannot believe how much culture, history, and scenery that we were able to take in during this less than ten hour tour. Our guide, Vlada, was extremely knowledgeable and friendly. His personable nature quickly felt like we were with family taking us around and showing us our homeland. I want to thank Vlada and Serbian Private Tours for providing this once in a lifetime journey. What a day!!! Thanks Miljan!!! Noroc!!!! Our guide, Vlada, took us on a fascinating tour that included an ancient fortress on the banks of the Danube providing us with detailed historical information. We traveled through the national forest, visited Leprenski Vir (a fascinating and well presented archeological find) and saw the Iron Gate. Again, Vlada, gave us excellent information that wasn't available in the places we stopped. The place we stopped for lunch was in a spectacular location (lots of photo opportunities), but the food was plain and unremarkable. Worth the stop though for the sites. What particularly impressed us about Vlada is that he was willing to answer any and all of our questions - and we had lots! Over the course of two excursions with Vlada, we felt that we got to know him, Serbian history, and something about the current situation in Serbia quite well. We made this trip end of September 2017 from Belgrad with 3 people. The trip was perfect in all aspects. Most important: we got an idea of many beautiful places in serbia, so the itinerary is highly recommended. We had an excellent driver and guide, Vladislav Jovic. His english was excellent and he was very flexible according to our need for many stops, especially to take excellent photos. Organization was top, he met us at the hotel exact at the arranged time and at the end of our day trip there was no hurry to finish. So if you look for a perfect day in Serbia: Do this tour !!! Serbian Private tours are very professional the moment I sent an inquiry, very prompt in replying in messages and give recommendations what to do in city. Our guides or Serbian Hosts were Vlada and Slobodan are great guys, on time, very knowledgeable on the tours and we have a great time. I would recommend Serbian Private tours to my friends when visiting Serbia. We were picked up promptly from our hotel in Belgrade by our wonderful English speaking guide Vlada. We had a great day visiting the Lepenski Vir Archaeological site and our fantastic boat ride on the Danube, to the Iron Gates, topped off by a wonderful traditional Serbia lunch overlooking the beautiful Danube. The day was perfect and Vlad could not have been more helpful and knowledgeable. The boat trip was such fun and very enjoyable. I would highly recommend Serbian Private Tours. From our initial inquiry to the conclusion of the tour they were very professional, efficient and more importantly friendly. Vlad went to a lot of trouble to return my glasses to me which I left on the boat, thank you Vlada and Serbian Private Tours. This is a perfect one day tour that combines the beauty of nature with history and local culture and cuisine while exposing you the gorges on the Danube. Our guide Miljan, fluent in English, made the day memorable by addressing all questions well and even taking photos of us at the best locations. You are driven through the rolling hills of eastern Serbia, see the transformation of the typical villages by the addition of mansions built for the returnees who worked for decades in Western Europe, and then you descend to an enormous lake created by the dam on the Danube still many miles down stream. 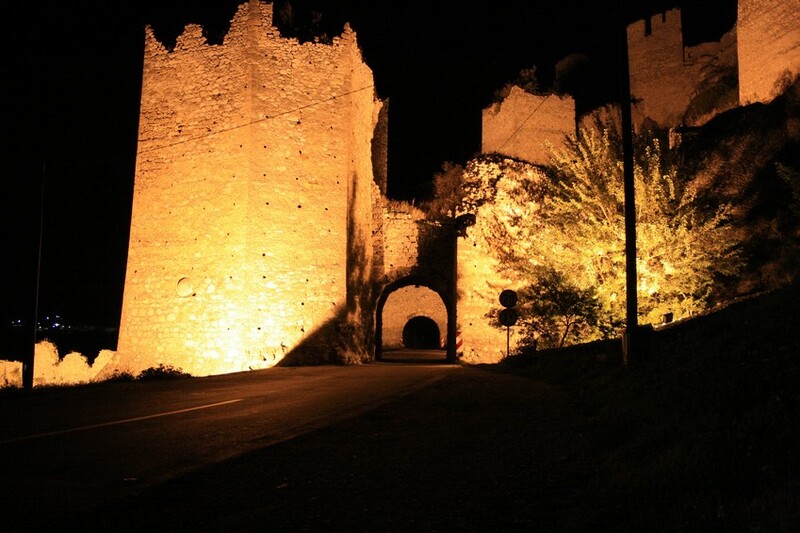 At the exit from the lake you see the medieval fortress of Golubac. Once current renovations are completed a longer stop here will reveal more of the fortress's rich history. The road now follows the river canyon which is the border between Serbia and Romania. Soon one reaches Lepenski Vir, a perfectly preserved archeological site with artifacts of a civilization over 10,000 years old. . A short movie is available followed by a walking tour of the site. (Those familiar with the oldest pottery of pre Inca civilizations from Peru will notice the similarity, which is puzzling). Typically after this one drives or walks to the top of the mountains to admire the Danube forcing its way through ever narrowing gorges between the Romanian Karpathian mountain range and the Homolje mountains of Serbia, As spectacular as these views from above are, we chose to do the next part of the tour by boat which Miljan prearranged. We went by boat through the Veliki and Mali Kazan, the narrowest passage of the river, and a saw at water level (on the Serbian side) the famous Tabula Traiana of the Roman emperor as well as the stone sculptures of his arch enemy king of Dakia ( Romanian side). Being on the water gave us another perspective of the Iron Gates. At the end we enjoyed our sumptuous, well prepared lunch/dinner feast at Kapetan Mischa while watching the Danube below flow by. All three of us had a most memorable day. We would definitely recommend the tour. I recently took the six hour tour through the Iron Gate and Lepenski Vir with Slobodan. I had a great time and would highly recommend it. Slobodan was an excellent guide and extremely knowledgeable about the region and it's history. The comment is taken from TripAdvisor review page connected to our service, to see the source follow this link. 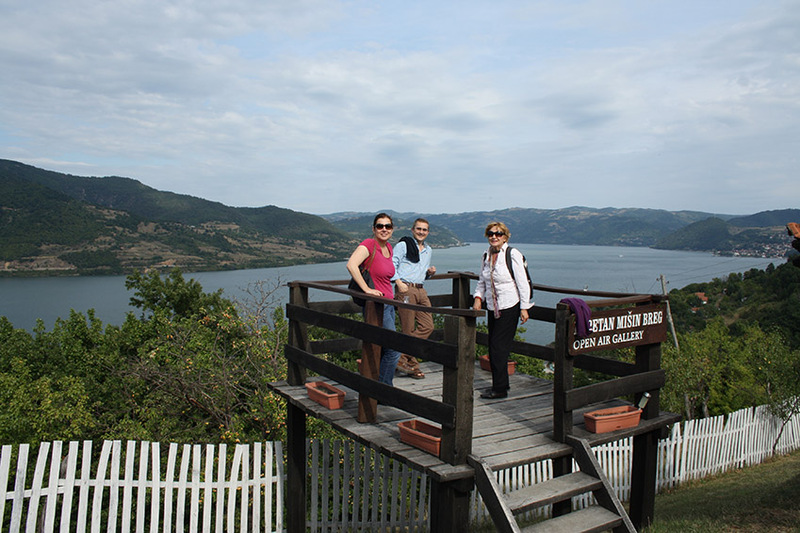 We took a private tour with Slobodan to Lepenski vir and the Iron Gate Gorge. Slobodan picked us up the morning of the tour with a private car. Slobodan was incredibly nice and knowledgable about the sites on the tour. We saw the Danube River in the best place to see it. We had lunch at Kapetn Misin Breg which has a beautiful view of the Danube and the Iron Gate. The food was all homemade and delicious. Then we visited Lepenski vir. The weather was nice and we had a wonderful day. I highly recommend for a day-long private tour. The comment is taken from TripAdvisor review page connected to our service, to see the source follow this link. We spent the first full day in Serbia with Slobodan on this wonderful tour from Belgrade to Lepinski Vir and the Iron Gate. Slo was extremely knowledgeable and charming, patiently answering all of our questions, from the history of the sites we visited and the region in general, to a multitude of questions regarding life in Belgrade and Serbia. It gave us a wonderful foundation from which to build the rest of our trip. The scenery was beautiful and Slo's stories made the drive time enjoyable (even the unplanned temporary road closure for dealing with loose rocks on the hill sides). The lunch he arranged was amazing, and afforded tremendous views and a taste of the hospitality of the region. I would heartily recommend, and would not hesitate to take one of their other tours if we find ourselves back in this region! The service we received was excellent. Vlada was friendly, knowledgeable and flexible to our needs. 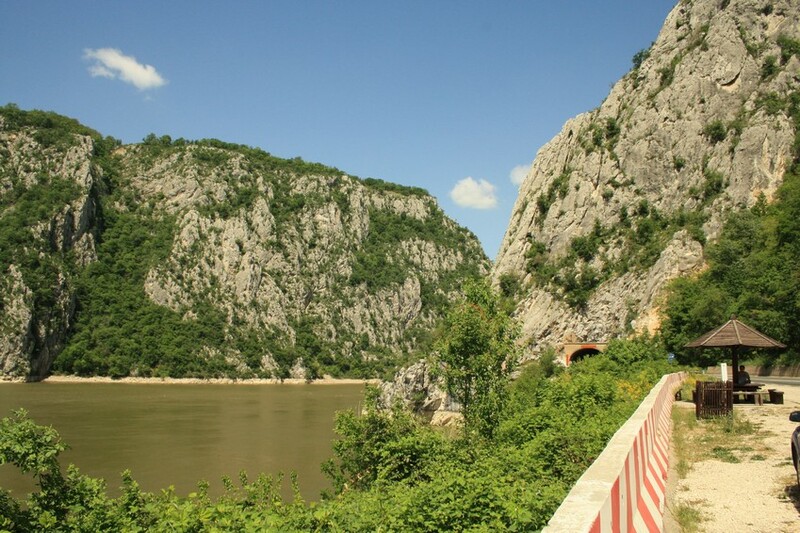 The inclusion of a boat trip around the gorge instead of the hike allowed us to experience the gorge, the Tabula Traiana, the carving of Dacian Chief Decebalus and other sites from the Danube River. I thoroughly recommend this trip with Serbian Private Tours. 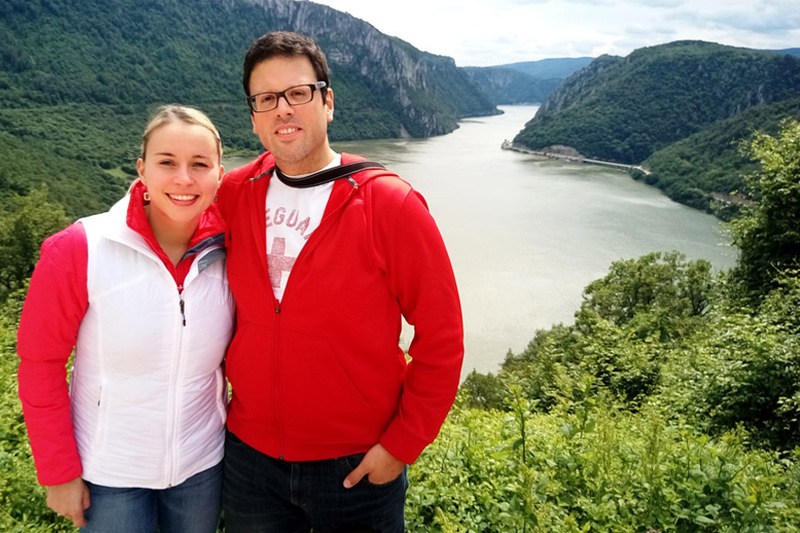 We did the OneDayTour from Belgrade to the fortress Golubac, the site of Lepinski Vir and teh the iron gate gorge at the border to Romania. This must be one of the most beautiful parts of Serbia and the tour is ideal to get an impression of it if you don't have enough time to stay in this region for a few nights. Our guide Slobodan was a really cool and outgoing person, who who could explain a lot of intersting facts about modern day Serbia. We can only recommand this tour! 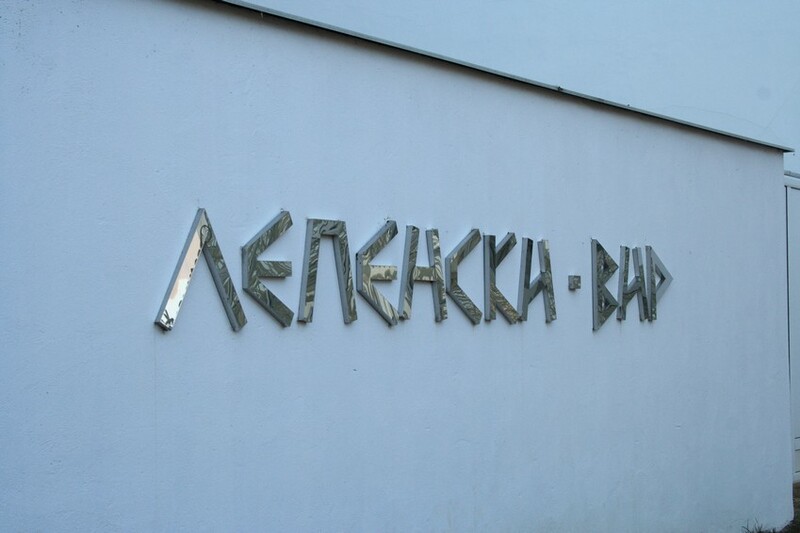 I had booked my tour before arriving in Belgrade and had learned a little of Serbian culture before we left. My guide Miljan arrived at my hotel on time for our trip down the Danube by road. I was very excited to see Goulbac Fortress and Lepenski Vir along with the Iron Gate. I had some knowledge of Lepenski Vir but not so much on the other two stops. Miljan was more very knowledgable on all of these areas and also the areas along the way. A lot of the time we discussed the history of Serbia, there was a lot that I did not know about. He explained in depth Serbia's place in both ancient and modern history and I'm very glad I booked him for the tour. It was very much an eye-opener for me as I have a keen interest in both human history and natural history and Miljan had an extensive knowledge of both. His kind and open nature was one of the highlights, we discussed our families, education and general life experience. He has a fantastic music collection to boot. 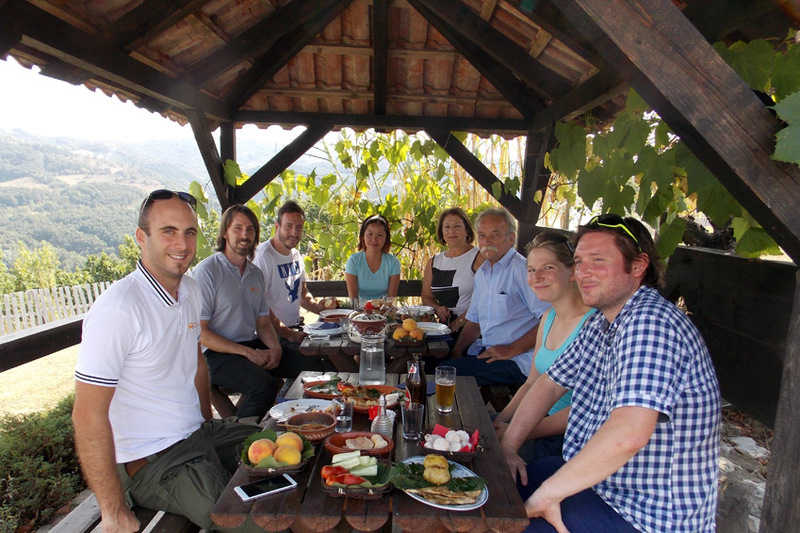 For lunch we visited the Vlach community for lunch in the mountains and had amazing homegrown food and wine. If you are going to Serbia I would highly recommend booking Miljan as your guide as there are many guides within Belgrade, however he specialises more in the overall Serbian countryside and even if you have not much time there are day tours available where you will learn a lot more about Serbia other than just Belgrade. It is well worth the time! The scenery that unwinds around you as you cruise thru the gorge is quite breathtaking. The Danube has cut a path through the Carpathian and Balkan Mts that is just awesome. History lines the banks of the river so look out for the Golubac Fortress....The Trajan Plaque and the Mission station that clings to the edge of the cliffs. This is a wonderful days outing away from the noise and hustle and bustle of the city. 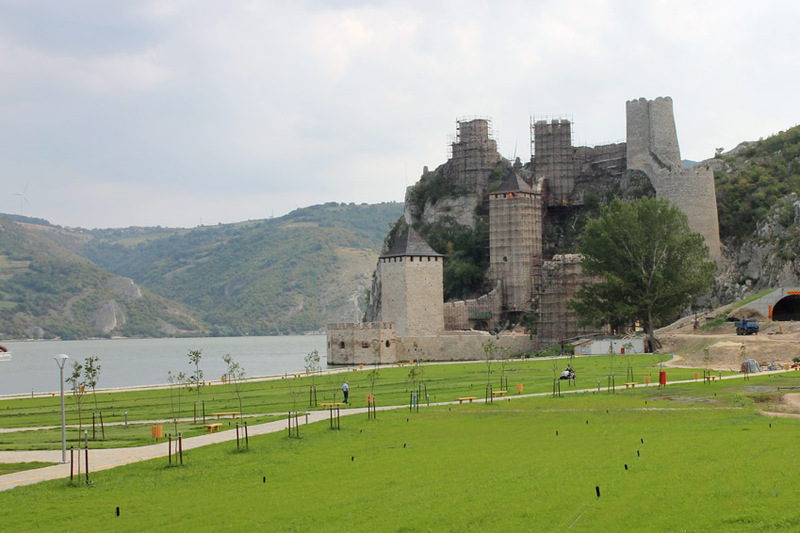 The Golubac fortress and the view of the river Danube at the Iron Gate are worth to see. The lunch in Kapetan Misin Breg was so tasty and the view was so impressive. We recommend Serbian Private Tours for that tour. Miljan Miljević who was so kind and also had a fluent English was our guide. Vlada was a really knowledgeable and friendly guide, giving me and my two friends a really relaxing and comfortable day in the National Park. Lepinski Vir was fascinating, and the gorge itself is really stunning. Everything was really we organised and a we had a great day out! Miljan provided us an opportunity to enjoy the beauties that Serbia has to offer. He created a memorable day trip to the Iron Gate Gorge. He was very knowledgeable, organized, kind, and we could tell he loved planning the tours. We would not have seen or learned the things we did without him. We had a wonderful drive through the countryside and our first stop was at a lovely cafe next to the spectacular Danube river. Our next stop was at an awesome ancient fort at the mouth of the Iron Gate Gorge. Miljan took us to many beautiful viewpoints and time for photos. For example, we could see Romania on the other side of the Danube and a carving in the mountains. We also went to a historical burial ground that was known to be the oldest civilization in Europe. Then went to a hidden gem of a restaurant that provided a wide variety of some authentic Serbian food. PS you must try the Ivor! Our day ended with another beautiful scenic drive back to our hotel. Miljan also has an awesome music playlist and a great sense of humour. Our day with Miljan truly was very fun and memorable and we have now become friends! Thank you Miljan for such a great journey! From the initial inquiry to the post-trip follow-up, our experience was outstanding by any standards. We were interested in a day trip to Djerdap, and the response to our initial inquiry was prompt and precise. The Serbian Private Tours web site is fantastic! Informative, full of great pictures, maps, and useful trip itineraries. The online booking and payment went smoothly, and again, the confirmation email followed very quickly. Miljan was our guide for the day. He picked us up in the morning, and we set off on a great day trip which lasted about 10 hours during which we covered about 500 km and had several great stops along the way. Miljan speaks excellent English and is very knowledgeable, professional and friendly. The highlights of our trip were Lepenski Vir, an impressive Mesolithic archaeological site, and the lunch we had at Kapetan Misin breg (a great alternative to a conventional restaurant). The scenery around us was a continuous highlight - Djerdap gorge is stunning! Within a couple of days of the trip, Miljan emailed us a link to the photos he took as a memento of our day out. Another nice touch, one of many. What Miljan and his company offer is very special because it's clear that a lot of thought and care go into it first. Serbian Private Tours know Serbia and love Serbia, and it shows. We look forward to another great trip next summer! We had a very interesting and enjoyable day with Miljan to the Iron Gate Gorge and Lepenski vir. The scenery along the Danube was beautiful and Lepenski vir prehistoric site was very interesting. The setting was dramatic and the display was really well presented. The tour is highly recommended and Miljan is a very professional and thoughtful guide who gave us a lot of insight into his country. 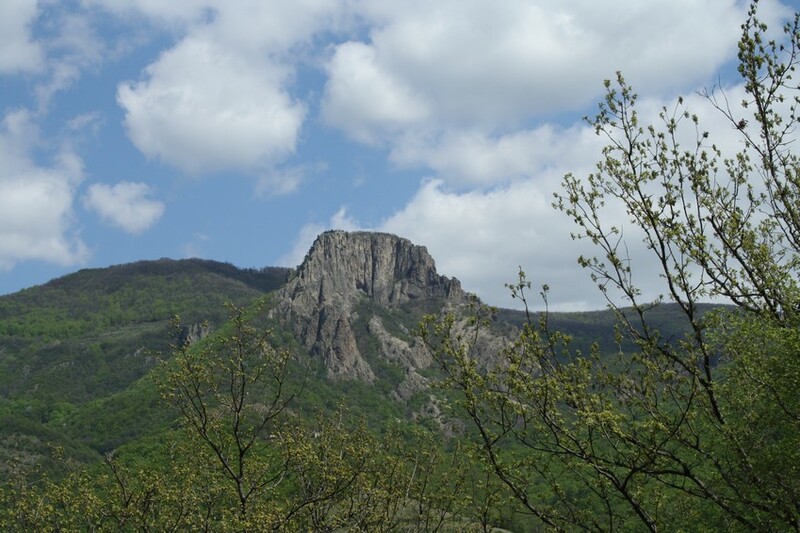 We did the "Iron Gate gorge and Lepenski vir" tour last June 20... and it was just great! The guide (Miljan) was a very interesting and open-minded person. He made us feel like "guests" rather than just "tourists". We VERY much appreciated his flexibility during the day. We strongly recommand this tour and this company. We would also recommand to opt for the "viewpoint Ploče" 1.5 hour hiking option to enjoy a beautiful scenery. We did this well-organized tour with our 2-year-old son. No problem with Serbian Private Tours. They even provided a baby seat for us. Great service and knowledge of tour guide Miljan. Thank you for this great day. We really enjoyed our tour - the Iron Gate tour. We enjoyed it all but the scenery was even more lovely than I expected. It was lovely day and Miljan was very professional. I recommend it and would be delighted to go on another one of his tours if I find myself in Serbia again. It was one of the best trips I have ever had. Serbia is a very beautiful country, but the person who guided me, Miljan, made the trip unforgettable. My trip started with Miljan`s warm welcoming greeting at the airport. He surely enjoyed what he was doing, and was very knowledgeable about the trip courses, history and so on. He tried to accommodate and customize the trip as much as possible and always made sure I am good. Beautiful place with awesome guide! Definitely 5 stars!!! Optional 2h boat ride is 130€ for up to 5 passengers (per tour, not per person). Every additional passenger is 35€ per person. Maximum capacity of the boat is 8. * Price shown is price for lunch per person based on household's set menu, it also includes drinks. Seasonal, 15.4-31.10. every year. Usual starting time 9 am, but it can be customized. Easy for most. At some points there is a bit of walking from the vehicle to the venue. For slow walkers it'll just require more time, not effort.